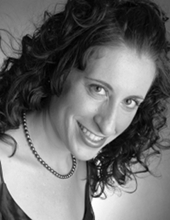 Originally from California, Elizabeth Weisberg studied at Stanford University and the Royal Academy of Music where she received the Dip. RAM, the Academy’s highest award for performance, and the Clifton Prize for her final recital. On the concert platform Elizabeth has appeared in the Chichester, Winchester, Aldeburgh and Three Choirs Festivals and with conductors including Sir Charles Mackerras, Sir Roger Norrington, Ivan Fischer, Emmanuelle Haim, Trevor Pinnock, Harry Bicket, Nicholas Kraemer, Christopher Robinson, and David Hill. She frequently appears in concerts in St. Martin-in-the-Fields with the Trafalgar Sinfonia and the Belmont Ensemble. Elizabeth also performs with Christian Curnyn, the Early Opera Company and Music for Awhile. Recent engagements include Handel Messiah in St. Thomas’ Church, Fifth Avenue, New York, Haydn Creation with Sir Mark Elder and the Orchestra of the Age of Enlightenment in Poissy, Dido and Aeneas and Charpentier Acteon at Wigmore Hall with the Early Opera Company, Mendelssohn Elijah in the Royal Albert Hall with the RPO, Galatea Acis and Galatea for Mackerras in Aldeburgh, and Bach St. Matthew Passion with the Manchester Camerata in Bridgewater Hall. Recent stage and opera work includes Rossini Petite Messe Solennelle in Weimar, Berlin, Paris (Opera Comique), Bregenz and Luxembourg with Nico and the Navigators.